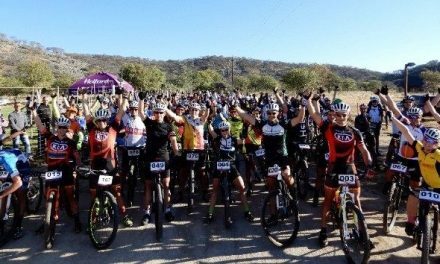 The second Bank Windhoek Enduro championships saw Henner Rusch setting the fastest lap of the day with an epic 1:01:47 record time. The 2016 National Enduro Championships route at Farm Lichtenstein were gruelling and very technical and took the national Enduro riders to their limits. Ingo Waldschmidt (KTM) and Rusch (KTM) both secured victories in the class of motorbikes up to 200cc and the class of 250cc, respectively, responding to the Henle brothers, Marcel and Pascal, who had won the first event at Farm Omakwara. Waldschmidt, who is also last years Enduro champion set the pace from the start. While Waldschmidt completed one reliably fast lap after the other to take victory, Tommy Gous (Yamaha) secured second position again, as in the first event at Farm Omakwara. Jörn Greiter (KTM) finished third while Marcel Henle (KTM) fought well to the end to finish fourth overall. Marcel Henle, who had won at Omakwara, encountered technical difficulties in the first lap and fell far behind. Meanwhile, the Enduro Championship is wide open again after Ingo Waldschmidt and Henner Rusch secured victories in their classes and stopped the Henle brothers. In the senior motorbike rider’s national class, 2015 champion Sven Schneidenberger (KTM) once again rode three consistently fast laps to secure an undisputed victory. Frank Ahlreip (KTM) showed a strong performance to complete the full distance and finish second, while Werner Wiese (KTM) finished third. In the national quad category without restrictions, a mix of ladies and men raced for victory. Jens Robow (Yamaha) made it two victories in a row with a good performance, ahead of Claire Brendel (Yamaha) and Dennis Dembski (Yamaha). Meanwhile, in the Clubman’s motorbike class, Jürgen Gladis (KTM) secured victory in a tightly contested race where Gerald Heiser (Husaberg) finished second. 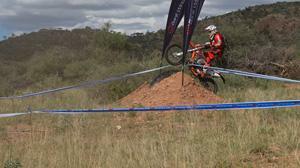 Heiser, winner of the first event at Farm Omakwara, had set off with a very fast first lap, but lost time on the second. Gladis however improved from lap to lap to set the fastest lap time of class 7 on his final lap. Peter le Richie finished third to complete the podium.